Please mark your calendars, save the date, and plan to attend our annual golf tournament this August 30, 2019. 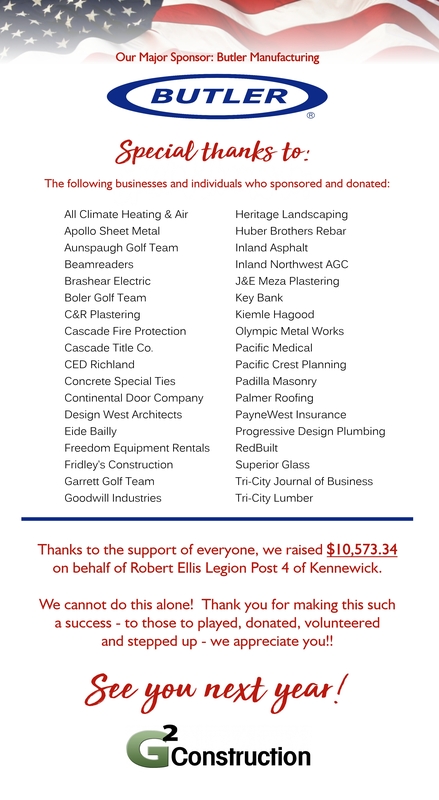 G2 will again be supporting Robert Ellis Legion Post 4 of Kennewick. It’s a popular event full of fun, prizes, and awesome food – so sign up early to reserve your team. Can’t play but want to help? We’re always looking for sponsors, volunteers, and donations….every little bit helps! Thank you to Service Peace Warriors for the recent shout-out to G2 and our crew as we construct some new improvements to older kennels at their training facility. We’re happy to help and glad that these fantastic service animals will be a bit more comfortable during the colder months. G2 loves our Veterans and we are thrilled to help whenever we can! Thank you to Welcome Warriors Home for this lovely video! It’s ON! Let’s play some golf! 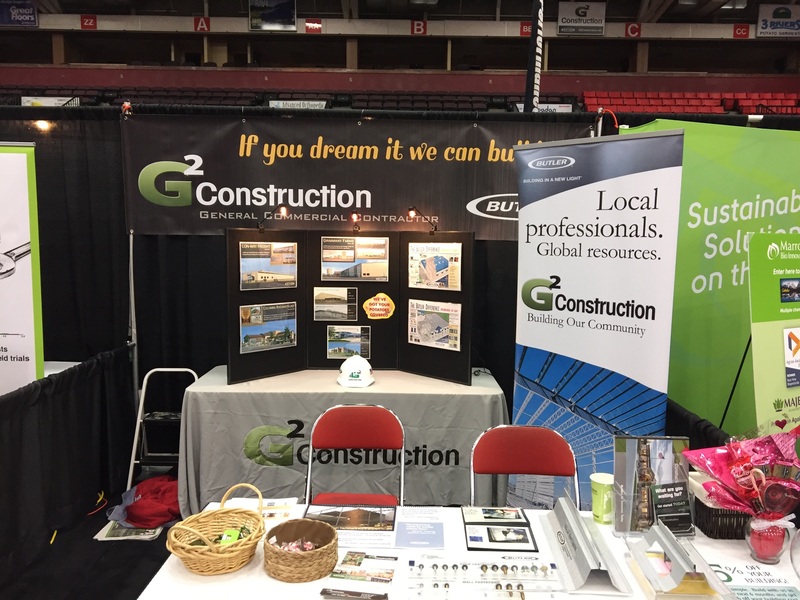 It’s that time again…join us for the annual Washington/Oregon Potato trade show at the Toyota Center. G2 has a booth set up in the main event arena, booth 248. We have goodies to hand out and as always, willing to educate you about our outstanding company and the fantastic Butler brand we represent. Trade show runs from 1/24 – 1/26. Come see us!